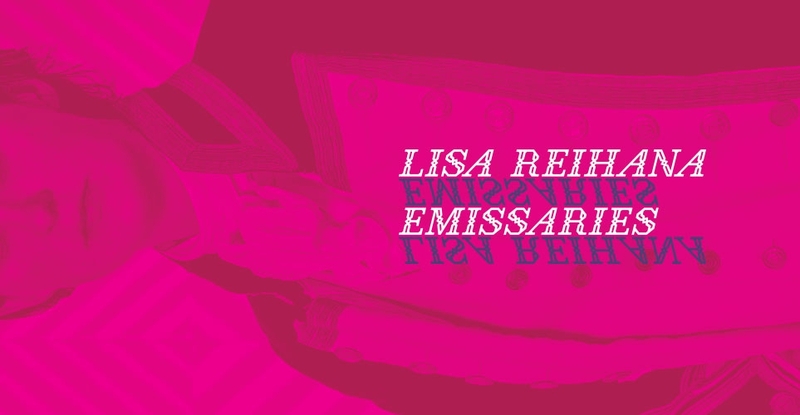 Lisa Reihana, detail 'in Pursuit of Venus [infected],' 2015–17, Ultra HD video, colour, 7.1 sound, 64 min. Image courtesy of the artist and New Zealand at Venice. With support of Creative New Zealand and NZ at Venice Patrons and Partners. HoMA brings internationally known Aotearoa/New Zealand artist Lisa Reihana’s 64-minute, panoramic video installation in Pursuit of Venus [infected] to Honolulu. The video reinterprets and brings to life through sound and movement, the French 19th-century decorative wallpaper Les Sauvages de la Mer Pacifique, which is in the museum’s collection. Les Sauvages de la Mer Pacifique (1804-05) is a large-scale 20-panel panoramic wallpaper color block printed by the innovative wallpaper manufacturer Joseph Dufour, after a design created by textile and wallpaper illustrator Jean Gabriel Charvet. Sourced from records and journals of the Pacific voyages undertaken by Captain Cook, Louis-Antoine de Bougainville and Jean-François de Galaup La Pérouse, Charvet’s visual content was also informed by neo-classical French ideals of utopia. Like Charvet and Dufour, Reihana takes creative license with the subject matter. She alters widely reproduced images, such as Webber’s The Death of Cook, and complicates utopian images of the exotic with scenes of comedy, customary practices, conflict, and moments of uncomfortable social tensions between characters. 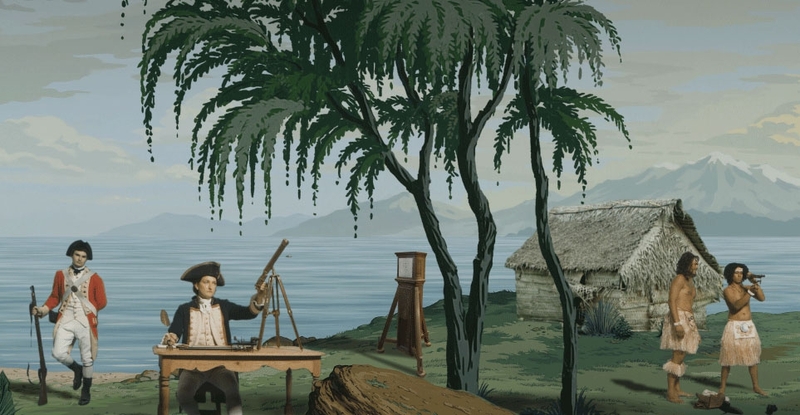 Animated encounters between European visitors and Pacific people play out against the wallpaper’s picturesque backdrop, disrupting historical narratives and challenging stereotypes that originated in the myths of empire. This exhibition is made possible by Priscilla and Jim Growney, Lynne Johnson and Randy Moore, Linda and Robert Nichols, Judy Pyle and Wayne Pitluck, and The Taiji and Naoko Terasaki Family Foundation.